The APM (application performance management) market is one of the most watched and in-demand tech industries today. Why? Because perfect application performance is undeniably the holy grail for every modern business. That’s why we set about redefining how global businesses approach APM more than four years ago. You see, we saw on the horizon just how insanely complex and hyperscale our IT environments were about to get. So, we worked hand-in-hand with our biggest customers to develop the most advanced APM solution available on the planet – AI-powered, automated, full stack. But how do you wade through all the marketing messages out there? Today’s marketing teams are agile, spinning out campaigns and messages that are highly persuasive and appear to directly address the pains of their target market. Whether you’re buying toothpaste, a new mobile phone or an APM solution for your global business, as a purchaser it’s your job to identify the best product on the market. And there usually is always one that’s truly the best on the market. It’s just that sometimes competitors can present themselves in a similar way which can occasionally confuse people…for just a brief moment in time. But how do you know which one is the true innovator? 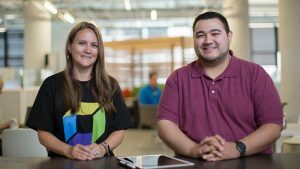 It’s worth mentioning here that I was one of the creators of the Dynatrace overview video you’ve just watched. It was meticulously crafted, the look and feel is made from scratch, the message was fought over internally for months and our points of difference were validated with customers before we pushed it live. But that’s how we try and run all our marketing campaigns – we strive for originality, transparency and integrity just like our APM solution. 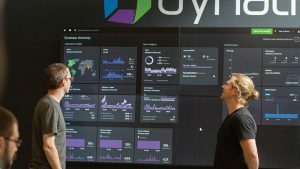 Dynatrace has arrived at an incredibly fortuitous place thanks to the technical innovations of our R&D teams and technical experts who live and breathe application performance management – and we have a raft of great stories and expertise to share with the world. I guess it’s no wonder then that AppDynamics posted their overview video that hits all the same messages, just 20 days after ours went live. But rather than get ourselves in a knot about it – we’re putting a challenge out there to anyone on the hunt for an APM solution. Want to see every user, every application, everywhere? We welcome a bit of healthy competition. And while you’re at it, check out this video that’s just landed on our YouTube channel with Raymond James, a large financial services company in the US. They took the dual test drive a while ago. 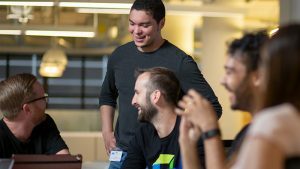 They chose Dynatrace because they needed to “see all transactions”, not just a sample of the traffic, so they could build meaningful performance KPIs and resolve issues immediately. 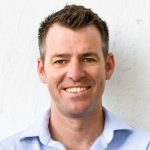 AI-powered – We’ve had AI weaved into our solution for two years now but our competitors are only just starting to work out how to integrate it. Automation – No one else can auto-detect, baseline performance, resolve problems, ID root-cause and provide causation analysis in an instant. Oh, and we also set you on the path of self-healing too. But like I said, don’t take our word for it. Take a free trial and let us know what you think. P.S. As I hit ‘upload’ on this blog post, I’m sitting here looking at a synopsis for an upcoming AppDynamics event that strangely enough says that they’re “redefining” the application performance market. “Re-defining”? Sorry guys, I think we had that message nailed 6 months ago.